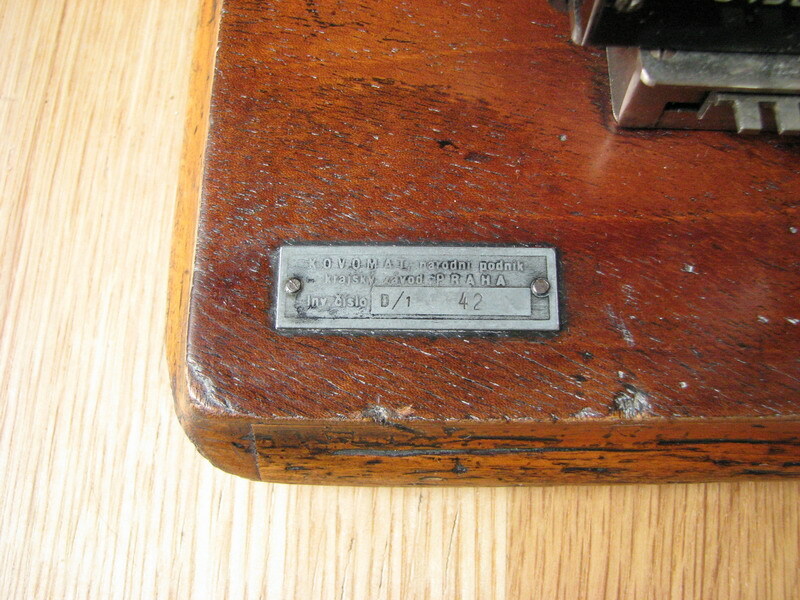 This is one of the later serial numbers known, 70430, the last one, to my knowledge, being 71547. I bought it from the liquidation of a large Brunsviga-oriented collection. My Brunsviga M24 is in fully working condition. Why they thought it was wise to add an input control register to an MB remains everyone's guess, but it necessitated some major reworking of the machine. 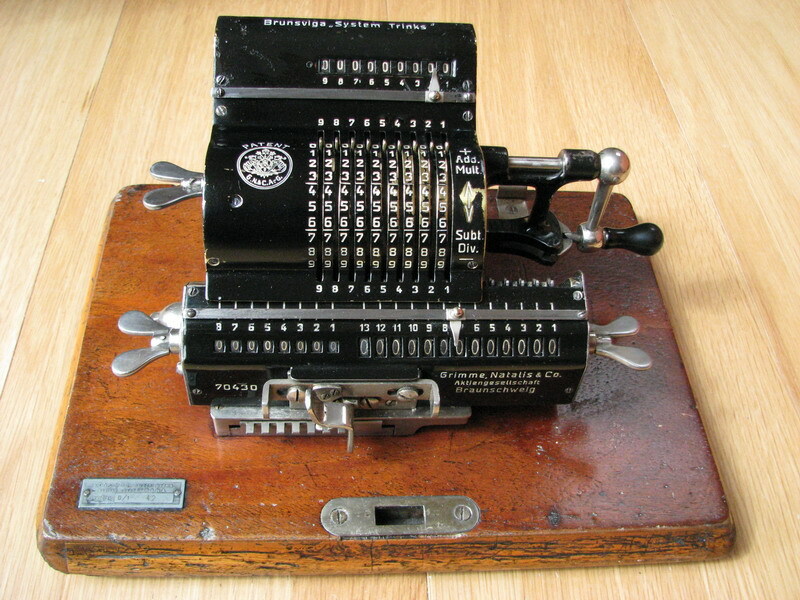 The name M24, like the PJ16, resulted from the year of introduction - i.e., the new "M" machine for 1924. 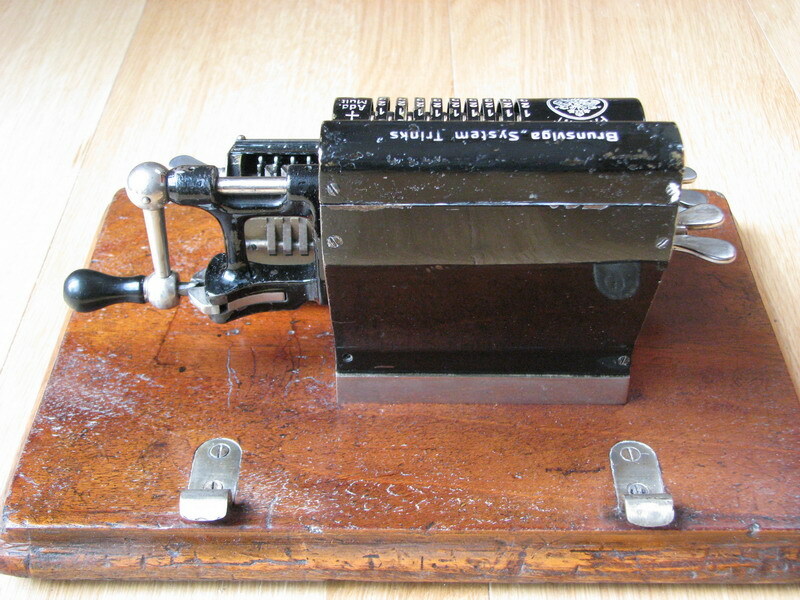 Apart from the top plate and all the parts associated with the input control register, such as the main chassis of the machine and the sideplates, also the pinwheel cylinder itself required rethinking, as it needed extra gears in order to drive the input control register. 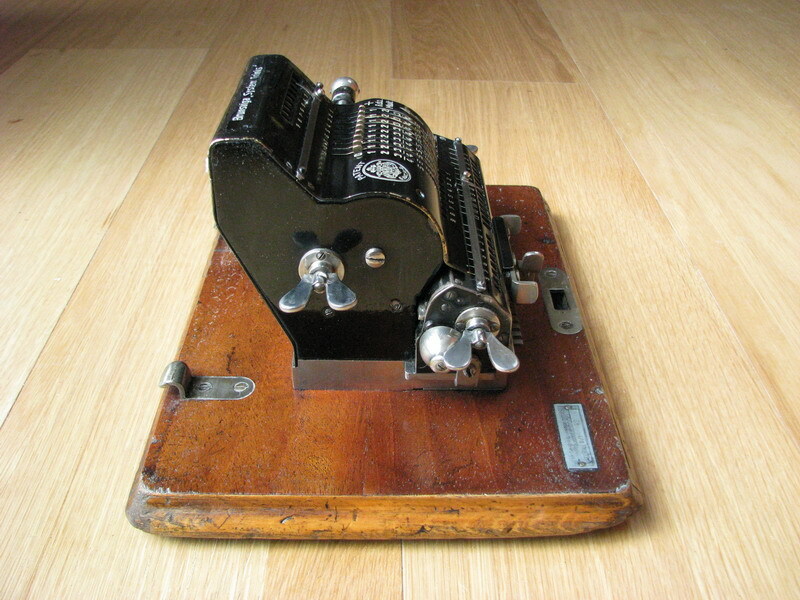 The register itself is of the crudest possible kind, being in contact with the pinwheel cylinder at all times, so the numbers there rotate along with the pinwheel cylinder. 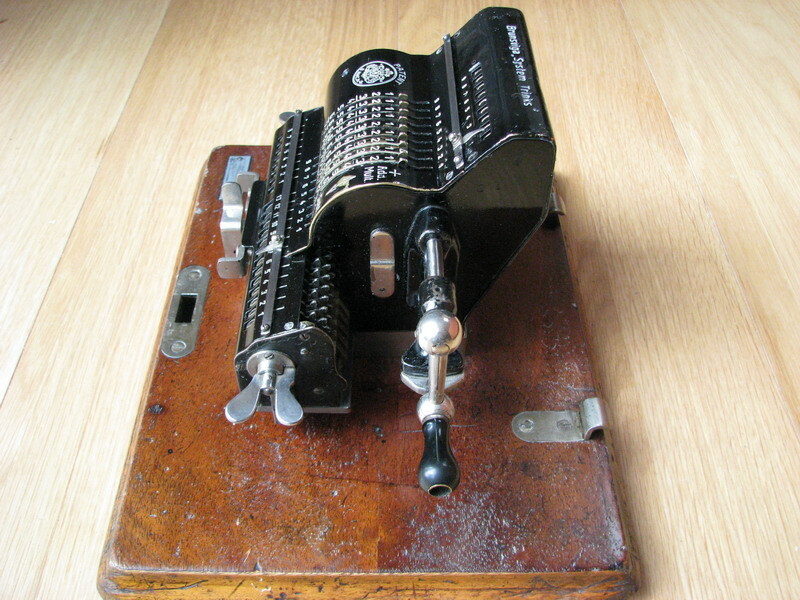 The input reset thumbwheel is of the same kind fitted to very late regular M machines, with the thumbwheel sitting directly on the left chassis plate, without an additional screwed-on casting. Also the handle casting and locking system are of a different design as in the regular M machines (and the early M24s). The casting is heavier, it has the "pincers" at the bottom for locking the crank, as seen in the later Nova machines, and the machine possesses a "ball" crank like the Midget/Brunsvigula/MA machines. This machine was sold and used in Prague - at KOVOMAT narodni podnik (national corporation), Prague division. It seems to have had a long life, because these national corporations were not established until 1948, when the machine was already over 20 years old. Kovomat appeares to have been the umbrella company for all hardware stores in Czechoslovakia. Since this machine carries an invntory number for kovomat, it seems more likely to have been used in the company, than sold at the company. Anyone with more insight in the Czech language is welcome to comment.